Welcome to another edition of Women to Read: Where to Start. We’re still the heat of August as I write this, which may be why I’m already projecting ahead to fall, October, and Halloween, anticipating cooler weather. By the time this posts, it’ll be September, which means Halloween is really just around the corner, and it’s never too early to start celebrating, right? By coincidence, all four of my recommendations this month are in the Halloween spirit, featuring the otherwordly, ghosts, and things returned from the dead. 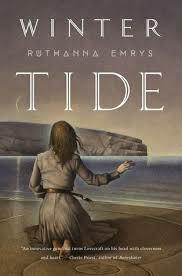 First up, my recommended starting place for Ruthanna Emrys’ work is appropriately enough her debut novel, Winter Tide. She’s also a short fiction author, and a columnist for Tor.com, where she and Anne M. Pillsworth dissect and discuss the works of H.P. Lovecraft, along with other authors playing in his sandbox. Winter Tide is set in the same world as Emrys’ short story, Litany of Earth, both reclaiming Lovecraft, and specifically the people of Innsmouth, and giving them a rich, nuanced, and misunderstood history. Aphra Marsh and her brother Caleb are the last surviving children of Innsmouth. When the town was raided years ago, they were put in a camp and forgotten until the location was re-purposed for Japanese internment during the war. As an adult, Aphra lives in San Francisco with her adopted family, the Kotos who took care of Caleb and her in the camp. She works in a rare bookshop with her friend and student, Charlie, who she is instructing in the rituals and rites of her people. Aphra also occasionally works for the government. Her sometimes boss, Ron Spector, calls her back to Innsmouth and Miskatonic to help track down a suspected Russian spy who may be using body switching magic derived from the Yith. Aphra sees it as an opportunity to reunite with her brother, and try to reclaim the books stolen from her people, and now housed at the university. Knowledge of Lovecraft’s works will enrich Winter Tide, but it isn’t strictly necessary. Emrys does an excellent job of giving the reader everything they need to know, peeling back the layers of Lovecraft’s mythos and making it more personal and sympathetic. In doing so, she touches on themes of cultural appropriation and theft, as Innsmouth’s heritage is locked up in libraries and museums, used by those who neither understand it nor respect it, and kept away from its rightful owners. While one of the prevailing themes in many of Lovecraft’s stories is the vast and uncaring nature of the universe, Emrys brings humanity to the race known as the Deep Ones. They aren’t monsters, just another branch of humanity – a fact Aphra asserts throughout the novel, refusing to let herself be othered. In addition to cosmic events, and potential spies, Aphra must also deal with the pressures of being one of the last of her people. Her ancestors who moved below the waves want her to help continue the species, something she isn’t particularly interested in, but feels obligated to consider. While Aphra is an individual, she is also part of a chain of existence, and the weight of its continuation rests with her. In Aphra’s circle, Emrys offers a well-rounded cast of characters, each with their own goals and desires. The world she builds is rich, making Innsmouth feels like a real place with traditions, rituals, and culture that needs to be protected and restored. Winter Tide is an excellent starting place for Emrys’ work, and as a next step there’s another book coming soon continuing Aphra’s story. Allison Mills is an author, archivist, librarian, and researcher. My recommended starting place for her work is If a Bird Can Be a Ghost published in Issue 99 of Apex Magazine. Shelly’s grandmother specializes in removing ghosts, catching them in her hair, and helping them to move on. She does most of her work for trade, or the occasional small fee, and she’s been training Shelly as an assistant even though Shelly’s mother doesn’t approve. When Shelly’s mother dies, she can no longer accept the rules her grandmother taught her. She begins stealing ghosts in an effort to find her mother, wanting just a few more moments with her. Not every dead person becomes a ghost, but even though it seems Shelly’s mother has already moved on, Shelly finds herself unable to let go. It’s a beautiful story exploring family, loss, grief, and love. It packs an emotional punch, while offering moments of lightness and humor as well, and overall, it is an excellent starting place for Mills’ work. Eden Royce has been a bridal consultant, reptile handler, and a stockbroker, as well as an author whose work spans multiple genres. 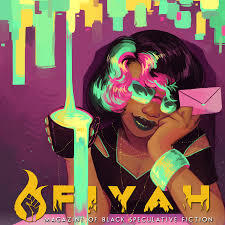 My recommended starting place for her work is Graverobbing Negress Seeks Employment from Fiyah #2. Prosper is a rootworker who uses the healing skills her mother taught her in order to brew tea to bring back the dead. She also saves a little for herself, just enough to ease her pain and extend her life by a few more years so she can keep doing the work that’s needed of her. Even though most church-going Negroes claimed to be scared of me, saying I wasn’t natural, I eased their minds by returning their kin to them so they could rest on blessed ground. Whispers about me had been going around the city for years, in the parlors and in the paper mills, on the farms and in the ironworks. If you can find your dead, then you better find Miss Prosper next. Most of those she brings back are lynching victims. Her work isn’t easy or pretty, but it’s important, bringing some small measure of peace to grieving families. A young boy comes to her after the remains of his brother, who had been missing for years, are found. They’re on the land owned by Runnin’ Jack, a notoriously dangerous man who deals in liquor and numbers and who doesn’t take kindly to trespassers. Prosper takes the job regardless of the risk. Jack finds her at her work, attacks her, and she discovers that not only is he a black man passing as white, he’s a serial killer who has been using lynchings and other violence to hide his crimes. Royce packs a lot into a relatively short story, delivering a powerful tale. Even though its set in the past, the story resonates with current events. It’s a story about those who are seen by society at large as disposable, against whom violence is so common that it’s almost expected, and therefore dismissed. For all the pain, there is a hopeful note to the story as well. 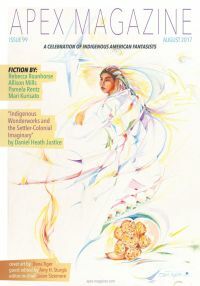 It shares elements with Mills’ story, in its focus on healing and bringing peace to the dead and those who mourn them. Both stories also deal with community on a certain level as well. Royce’s story underlines how the death of a single person wounds a whole community, but also shows that community fighting back, as friends and neighbors who put their own lives at risk to help each other. It isn’t an easy or comfortable story, but it isn’t meant to be. It’s an excellent story, and a wonderful starting place for Royce’s work. Mur Lafferty is a Campbell award winner, twice the winner of the the Manly Wade Wellman Award, and a Hugo finalist for her podcasting work. My recommended starting place for her work is her latest novel, Six Wakes. Maria wakes in the cloning bay of a ship, with dead bodies floating all around her, including her own. The gravity is off, there are clear signs of violence, and something is obviously very wrong. She wakes the other members of the crew, all clones, and even though they should have mindmaps from their previous selves, the last thing each of them remembers is boarding the ship. They soon discover the pilot’s previous clone hanged himself, while the captain’s is still technically alive, but in a coma. To make things even worse, the ship’s AI is unresponsive, and they’re off course. Since none of their cargo of cryogenically frozen colonists are awake, one of them must be the murderer. The basic premise could be likened to cult classics like House on Haunted Hill, and Clue, but instead of a guests invited to a creepy old mansion, clones are invited to serve on a spaceship. Each of them has a criminal past, accepting the job in exchange for wiping their records clean. Lafferty does an excellent job of slowly unfolding each character, and of course they all have secrets and a potential motive. 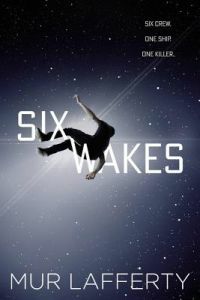 The six wakes of the titles also gives the book its structure – from the waking of the clones, to the waking of the AI, to new knowledge being woken in the characters. The characters are well-rounded, and given new depths as the novel progresses. Lafferty manages to keep the tension high and maintain sense that any one of them really could be the killer. Among the grim circumstances, there are touches of humor, engaging character interactions, and excellent worldbuilding. The novel unfolds is tightly plotted and brilliantly executed, making it a wonderful starting point for Lafferty’s work. That brings us to the end of September’s Women to Read. I’ll be back with more recommendations next month when it’s actually Halloween season. In the meantime, please do leave your own recommendations for fantastic women to read in the comments!